My colleagues Mike Taylor and Andy Farke among others have done an admirable job of promoting the concept of open access in palaeontology, both for data and for the actual research papers that academics produce. However, while this is on the whole a very good thing, it has I believe (in conjunction with other phenomena) produced problems from the frontline scientists whom it is supposed to help. While what I am about to write may be seen as a complaint it should not be – it is an observation. It is for me currently problematic, but that does not mean that I do not support open access (I do) or that this is a huge issue (it isn’t) or that on balance open access is a bad thing (not true either). With change comes problems, some foreseen and others not, and most if not all ultimately overcome or sidestepped to the general satisfaction of most so this is not something I expect to be a long-term issue. Here I simply want to illustrate a couple of problems that I have not seen commented on or discussed before. So with this in mind, what’s the problem? Many thanks to Darren Tanke today for loaning me this photograph of a Gorgosaurus, one of a number of tyrannosaurs from the Late Cretaceous of North America. This is a great photo as it really shows off one outstanding feature of tyrannosaurs (and indeed theropods in general) namely the fact that the teeth and jaws of these animals do not meet together as they do for humans (and other mammals, and lots of other things). Instead, the lower jaw slots inside the upper one so that the teeth move past each other rather than coming together. However you almost never see this. In mounted skeletons the jaws are inevitably open to give a dramatic gape and this is mimicked in a huge amount of palaeoartworks. Even in scientific drawings the jaw is typically half open to show the anatomy of the mandible, or missing entirely. As a result, this is very rarely illustrated and thus I imagine appreciated by many people. So here you have it, the tyrannosaur overbite, with the teeth of the upper jaw being clearly visible as they overlie the mandible. Incidentally this is not an extreme version, I know of (but sadly have not seen) a Ceratosaurus where the teeth in the upper jaw are so long that they finish below the bottom edge of the mandible when the jaws are shut! Toothy. Due to his ongoing battle with the internet, Adam Yates has moved his Dracovenator blog to here. So update your links and if you are not already, get reading his excellent blog. A long time ago in the dim and distant past on here I wrote about fossil chimeras and mounting skeletons and have since written about fake fossils of various kinds. In these I rather breezed over some of the different ways that fossils can be produced for display and it seems worth going over in a little greater detail and roughly defining a few terms to make things easier for people to understand and distinguish between the various things out there. Increasingly, genuine fossils of large animals are not on display in museums. These are expensive and valuable artefacts and scientists need to access them, and the museums need to protect them. Big dinosaur mounts that tower into the air made up of original fossils that are hundreds of millions of years old are therefore rare. They are hard to examine, and difficult to keep clean and if they ever fell over…. However, even the most complete of big dinosaur mounts are often not as they seem and can be completed using a number of different techniques. 1. Original material. While these are becoming rarer, there are a significant number of mounted skeletons being produced composed mostly or entirely of original fossil material. Since there are pretty much no *totally* complete dinosaur skeletons in 3-D, the odd part of another specimen may be used to fill in the gaps, effectively creating a chimera. 2. Repaired material. Even if you do have a complete specimen, the odds are there are a few chunks missing – a humerus with the end gone, teeth lost from the jaws, or the neural spines broken from a few vertebrae. These can still be used with the missing parts repaired and completed from plaster or a similar material. 3. Casts. You can of curse simply make a direct physical copy of the bones of your specimen and mount them, or from another specimen to fill in the gaps and these are casts. Most big specimens nowadays are casts of real specimens supplemented by sculptures of missing bits. 4. Sculptures. Finally, you can simply model the missing pieces from scratch and make them to fit the gaps and what you know of the existing anatomy or from close relatives. Sculptured bones run the full length from inept plasticine-like creations that look only vaguely like bones right through to superb ones that can even look better (since they have no breaks or distortions) than the originals. A selection of casts and sculptures of dinosaur claws and various teeth. Telling these different ‘bones’ apart is not normally too difficult with a little practice (though across a darkened dinosaur hall it’s not always easy). Typically original material looks organic in a way that even casts do not – natural swells and breaks and just the texture of the bones will look ‘right’. Repairs to original material are often crude, but in any case the instant change in texture and colour between a sculpted piece of plaster and the bone itself should be clear. Sculptures (whether as repairs or as whole replacement bones) often have little texture on their surface beyond a few scratches or dimples and are often a give away as their surface is so smooth. Finally casts often loose a little of the detailed surface texture of the originals from which they are copied but can usually be distinguished by their colours. Real bones generally have a range of colours (if minor) to them when casts are typically made using coloured resin or are pained after production and so are a uniform colour. That’s quite probably more than enough of casts and sculptures, but this should serve as a guide to what is, and is not, real in museums and how to tell them apart and why this can be important. Deliberately aggressively titled post – who cares what you think? This post is in response to this current report. For once I’m not targeting the journalism, but the actual point of the survey. It’s an assessment of the public’s opinion on the teaching of non-evolution-based ‘theories’ (as everyone insists on calling them for no obvious reason, despite a lack of evidence that would make them barely viable as hypotheses) as part of science in the UK. Right, here’s the rub. I don’t care what the public thinks here. They are not to be trusted. Look, yes of course you must consult parents / the public on general themes in education (do they want their kids to have more or less physical education, should history be focused on the recent past or great times in history and so on) and I’m all in favour of public education and dialogue, but in this case the point is absolutely and utterly irrelevant. When you are ill do you a) seek a doctor (i.e. professional in the medical establishment) or b) take a straw poll of the nearest 1000 people to you and do what they say? When your car breaks down do you a) call out a professional mechanic or b) take a straw poll of the nearest 1000 people to you and do what they say? When your sink backs up and overflows do you a) call out a reputable plumber to attend the problem or b) take a straw poll of the nearest 1000 people to you and do what they say? You may be seeing a pattern here. And it is this – not everyone in the world knows everything about everything. In fact when you consdier the truly stupendous and vast amount of knowldge in the world (whether it be about fixing spark plus, the Roman occupation of France, the second series of ‘The A-team’ or quantum physics) most people know next to nothing about anything. To get around this issue for things that are complex and matter we have a system of telling apart who does know something and who does not, like, for example internationally recognised qualifications like degrees and doctorates. You know who real doctors are as they hold MD degrees and are members of professional bodies. Recognised and qualified experts in science are called scientists and those in the narrower field of biology are called biologists. It should therefore be obvious that the people who get to decide what is and is not good science and good biology should be the biologists. Joe Public should not get a look in anymore than he should be allowed to take out your appendix (unless he’s a doctor) or fix the plumbing (unless he’s a plumber). The odd thing is people do know this – they go to doctors when they are ill, call out mechanics to fix their car, fly in planes with pilots, get architects to design houses and so on. They clearly at some level do know what they are and are not qualified to talk about (despite this evidence) but people need to think rationally about this. Don’t even think of taking a poll on something like this, the question is irrelevant and the people asked are in the main not skilled or qualified to give an accurate answer. It might tell you a little which way the wind is blowing, but its actual effect or outcome is meaningless. Ask the biologists what should be taught. Ask the teachers how. Don’t ask the public. Yesterday evening I came across this article in the Guardian newspaper (well, their online version) on the trials of an HIV vaccine. The article is exceptionally clear and spells out what was done and why, and why the results are ambivalent. IT avoids jargon, but does explain some tricky concepts well. Overall it’s great, and the Guardian should be praised for publishing it. But. There’s another issue here – this wasn’t written by journalists. It was written by a team from the British Medical Journal. Now the Guardian is still doing the right thing by giving people access to well written, informative and expert views on a tricky subject. My problem, perhaps inevitably with this, is that well, isn’t that what they employ the journalists to do? The best thing in the paper on science is not written by their own journalists. Oh. Now as I have said before, I think that the Guardian has the best science section going in a major UK newspaper and anyone who gives Ben Goldace a platform is onto something good. But surely they can do better than this? There is another article on the same subject in the same section here, and it is less clear and certainly more emotive with stronger language (‘hope dashed’) and soem contradictions with the BMJ version. It’s certainly better than many I have seen, but still not great. I’ve long maintained that a great many researchers are great communicators (or at least capable of great communication) in addition to my regular potshots at many mainstream ‘science’ journalists and this I think rather proves my point. There are a great deal of technical words in science that people often dismiss as jargon, but as I have said (perhaps even more than once or twice) science writing is about brevity and clarity and technical terms are useful when properly defined. In stead of writing ‘that odd situation where the middle metatarsal of a foot is compressed proximally’ you can talk about arctometatarsals for example. And with that horribly contrived introduction and definition under our belts we can move on. Arctometatarsals (sometimes referred to as ‘the arctometatarsalian condition’) are indeed as I described an unusual feature of some theropods whereby the central metatarsal of the three that the animal stands on (and thus number III) is constricted and covered by the flanking bones such that they splay out at the base. (For those who have missed out the metatarsals are the bones on the foot between the ankle and the toes – in humans at least the majority of the foot, though since theropods walk on their toes only, the metatarsal effectively add to the length of the leg). You can see a nice example of an arctometatarsal here on this not great photo of Tarbosaurus and I’ve done my best to badly ink in the outlines of the other two bones in red. It should be clear that at the bottom of the middle metatarsal appears the same as the others but further up is appears to shrink and disappear behind the others. In fact is disappears *between* the others – it’s not behind them, but stuck between them. In some cases it can flare out a little at the other end, but usually it is reduced to a very fine splint of bone at the upper end. This condition has actually evolved a number of times and is present in tyrannosaurs, the wonderfully weird alvarezsaurs (of which much more soon I hope), ornithomimosaurs, troodontids and even a couple of oviraptorosaurs. Among the more derived theropods it is then quite common and worth looking out for. Its exact function is not really known, but has been thought to correlate with running (and with the exception of the giant tyrannosaurs these animals are all good runners). So there you have it – the arctometatarsal. It’s amazing just how much information you can cram into one word really – long live technical terms. Recently I have been very busy as the fallout from SVP and a two week break come back to haunt me. I’ve got a paper to review, have submitted the corrections on one of my own, have reviewed two pieces of work by my students, completed my comments on the description of the new theropod to come out of the IVPP ( a secret for now, sorry), sent off a specimen for preparation, done four drawings for another paper and generally tried to to catch up with my e-mails. As a result, the Musings has been a bit sparse on the detailed posts front and it might continue a bit longer since my next big task is to write some job applications. In order to keep you all interested though, have a couple of vaguely related things. First off, this photo of a bird of paradise I took in the Ueno Zoo in Tokyo. I’m really rather pleased to have seen it and very pleased with how the photo came out given the poor lighting, reflectance off the glass and other factors that made this a challenge. This in turn leads into a couple of other things. First off, today saw the release of some of the photos from the Wildlife Photographer of the Year Award, which is a must for me and I rarely miss it, despite having been based in Germany and China for the last four years. It does tour both the UK and the world (the 2008 version is now on display in the Beijing Zoo) so keep an eye out. Secondly, the bird at hand – the Greater Bird of Paradise (Paradisaea apoda) formed a central part in the lecture on Alfred Wallace that was recently given by Sir David Attenborough which i was lucky enough to attend and got to ask the man himself about the very bird you see pictured here. Since I brought up hornbills the other day, I now have the excuse of posting this picture I recently took at Beijing Zoo. In the main on the Musings, I try to stick to reviews of palaeontological issues, things pertinent to science communication and education and the like. It is a deliberate choice to avoid speaking about anything personal, but i really have a soft-spot for the Great Indian Hornbill (Buceros bicornis) and with no other obvious reason to post this picture but a personal one, I though it time to break ranks, if only briefly. As I have mentioned here before and has been covered elsewhere, I have worked as a volunteer at London Zoo for a while and like most people there, got to know Josephine. Josie was a Great Indian Hornbill who live at the zoo for some 47 years (and was probably well into her 50s when she died in 1998) and was very well know with both the staff and the public. So much so in fact that she was one of the select number of animals to have her obituary published in the The Times upon her death. She was a friendly bird who would knew a great many people by sight and would often become more active in their presence and come to the front of her enclosure to greet them. I used to make a detour most lunchtimes on my way to the staff cafeteria to bypass her in the Tropical Birdhouse and see how she was doing. She was very old when I ‘knew’ her and spent most of her time doing very little, but it was still nice to see her and to appreciate a beautiful bird in wonderful condition. Since those times I’ve always liked these birds and make a special effort to see them in any zoos that keep hornbills. Enough reminiscences for now, more dinosaurs to come soon. While we are talking birds with odd beaks, skulls, ornaments and all that, it seemed most pertinent that I dig up this image of a cassowary from my collection. The crest at the top of the head is more properly called a casque and while studies show that it certain does have an ornamental / signaling function, it is used for a few other things as well including clearing foliage and detritus off the rainforest floor where the animals live. To return then to yesterdays general theme, it is usually a bad idea to go looking for extra possible odd functions and features in fossil animals. If you have a good set of data that strongly supports a given function of a morphological feature – don’t try and then second guess yourself with a raft of extra odd (and untestable) features just because they crop up in one or two extant organisms. Case in point being this one, I suppose it’s possible something like Monolophosaurus did use it’s crest in a similar way to a cassowary, but I wouldn’t want to argue that and nor is it common enough or tied to an obvious structural feature that you could realistically test it on the dinosaur. However, when trying to work out the possible range of behaviours that an animal may have exhibited or when faced with something unusual, it can be well worth digging around (so to speak) in the literature on extant animals. There is such a raft of unusual things that living animals do and features they have that it would be impossible to consider them all when looking at a new fossil – to do so would be a waste of time and effort and a great many simply could not be assessed properly. They can provide a source of ideas and information that could easily be missed otherwise so as ever a balance must be struck, but stick to those that can reasonably be tested and avoid the extreme. Did any archosaurs have ornamented beaks? The title of this post may seem like a strange one but this is a question worthy of serious, if brief, attention. While records of head crests and ornaments in the archosaurs (including birds like cassowaries), and most famously the pterosaurs, are well known, these have an underlying bony core. What I’m referring to here is purely the keratinous sheath that sheathes the beak of a great many archosaur lineages (and one day I really must get round to noting just how common these are and in just how many places on the archosaurina tree they occur). Is there any evidence that these might themselves have had ornamental structures on them? Tyrannosaurus vs Spinosaurus vs Giganotosaurus vs Mapusaurus vs…. 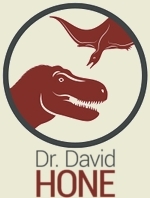 Science…sort of Science podcast with a heavy palaeontology bent. SV-POW! The sauropod vertebra of the week! The 21st Floor Sceptics site who have roped me in an an occasional blogger. Gurney Journey James Gurney’s artwork. Skeletal Drawing Scott Hartman on the art of recreating skeletal figures of dinosaurs. ARKive Massive resource for photos, videos and audio of animals.